Take two bowls of water to get your maggi and macaroni ready to be cooked. Boil the water and add maggi in one bowl and macaroni in one bowl. Add a pinch of turmeric powder to both and a spoon of oil to both. Let them be cooked. Meanwhile heat oil in tave , slutter mustard, add urad dal. Let it turn brown. 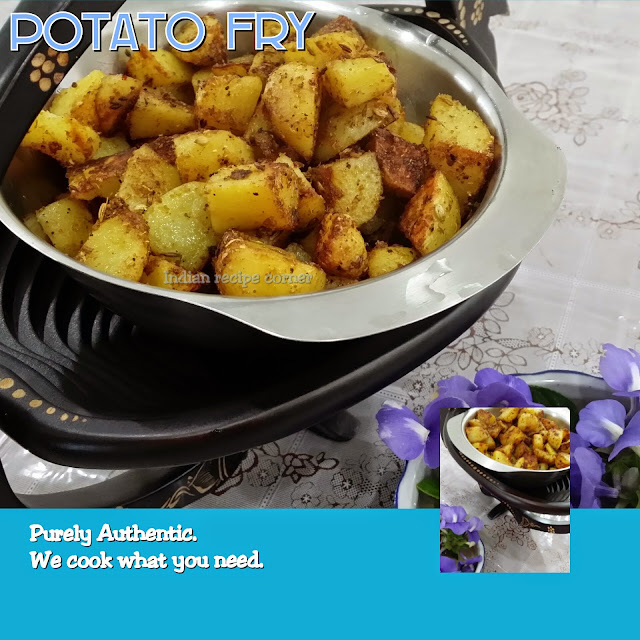 Add sliced onions, tomatoes, chilli, garlic, rady to cook peas with salt, pepper-cumin powder, asafoetida. Let it get cooked for some times. 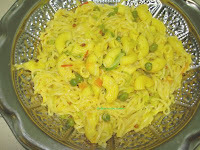 If you want you can add vegetables like cauliflower, carrot, capsicum along with it. Now drain the water from cooked noodles and macaroni. Add them to the above and stir well. Close the lid and keep it for 10 minutes and is ready to serve. Garnish with corriander, curry leaves. These macaroni sound wonderful - love all the flavors! I finally figured out how to subscribe to your recipe blog. Looking forward to keeping in touch.